At Delaware Wild Lands we take seriously our mission of protecting and restoring Delaware’s important natural areas through the purchase and management of strategic parcels of land. Since 1961, we played a pivotal role in the acquisition and regulatory protection of 30,000 acres of land, including Delaware’s coastal areas and Great Cypress Swamp. But we do much more than purchase land. We own and actively manage 20,000 acres of land to enhance biodiversity and support traditional uses of the land. 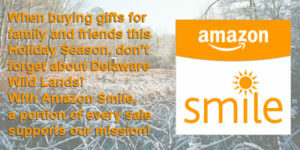 We conveyed 10,000 acres of land to the State of Delaware for public recreation and education. We recognize hunting, farming, and forestry are an important part of Delaware’s local culture and economy. We use Sustainable Forestry Initiative (SFI) certified forestry practices to restore the ecological functions of our forests while generating a long-term source of revenue for the organization and contributing to the local economy.